2013 Spring - Play On! 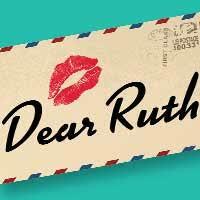 One of the most popular comedy hits of modern times, Dear Ruth by Norman Krasna, is a classic in its own right. Lt. William Seacroft, on leave from the Italian front, arrives at the New York home of Ruth Wilkins, with whom he has been corresponding. Unbeknownst to both Ruth and Bill, Ruth's younger sister, Miriam, has been writing the letters and signing Ruth's name as part of a program to keep up soldiers' moral. Although Ruth has just gotten engaged to a coworker, she agrees, for the sake of morale, to see Bill and pretend she wrote the letters -- which has unexpected results. Performances are April 19 - May 6 on Thursday, Friday, Saturday and Monday evenings at 7:30 pm. There will also be a Saturday matinee on May 4 at 3:00 pm. Tickets are $12/Adults and $11/Students & Seniors (age 55 and older). Matinee is $1 less. What a great price for quality live theater! Click on the Current Show button for more information.